To test your app on an Android device, first build it from the editor by clicking Test, with Mobile Device selected in your test configurations. If the build is successful you will receive an email at your Dropsource account address. Open the email on your device and install the app from the link included. Tap the link in the email to download your app. You will be prompted for permission to begin the installation. Tap Install. The app will begin to install – navigate to your home screen and wait for installation to complete. When the installation is complete, tap the app icon to open it. When you attempt to open the app for the first time, a popup will appear indicating that you need to trust our enterprise distribution certificate. Tap Cancel. 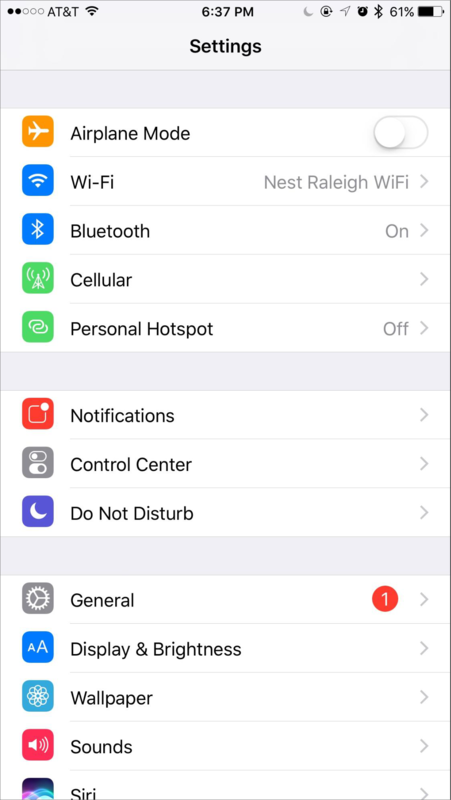 Open the Settings app on your device and tap General. In your General Settings, open Device Management. 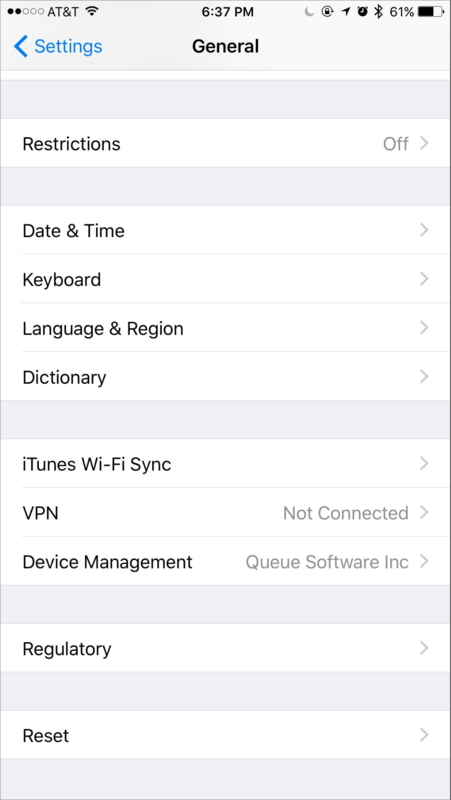 In your Device Management settings, find Queue Software (Dropsource) in the list of Enterprise Apps and tap it. 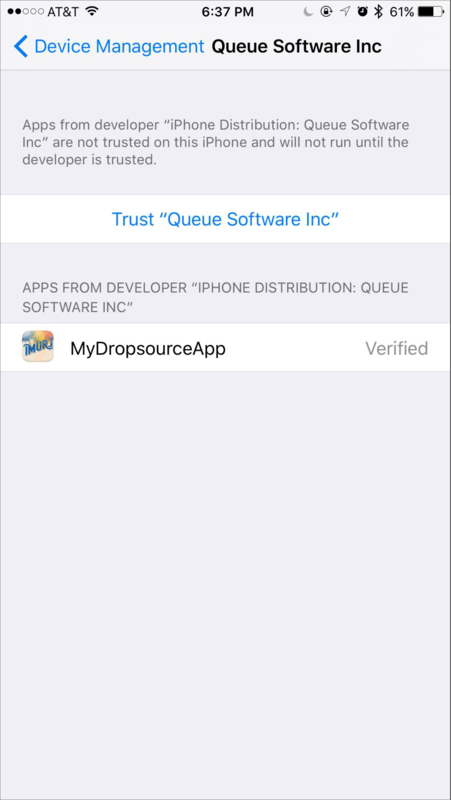 In the Queue Software certificate section, you will see your app together with a Trust “Queue Software” button. 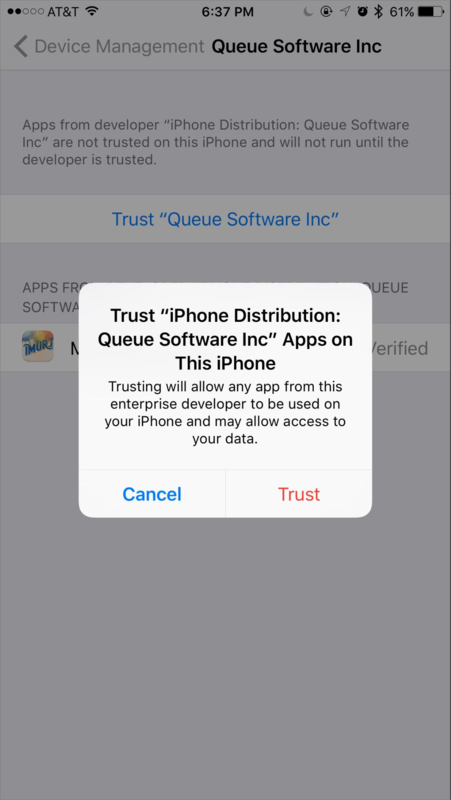 If you agree, tap Trust “Queue Software” to accept the certificate, which will allow you to run the app on your device. 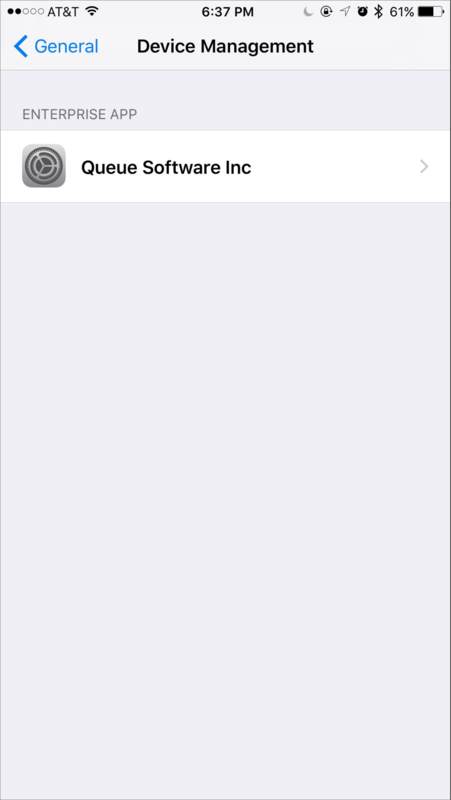 A confirmation dialog will appear – tap Trust. Navigate back to the home screen and open your app! Follow these steps whenever you want to test your app on a new device. If you have any trouble during installation you can access help via the Help button in the editor.